Play Wizard of Odds online for free now! This feisty wizard will give you an entire cauldron full of chances to win! 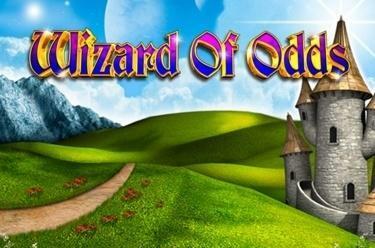 A magical adventure full of fantastic bonus games awaits you in Wizard of Odds! Whether it's through the Wizard's Hat, the Magic Cauldron or the Spellbook, the Twists will be jumping onto your player account as if by magic! Your aim is to land 5 identical symbols along a win line. The win lines run in different patterns from left to right the reels and form specific winning patterns. To win you have to land several identical symbols from the left consecutively on a line. The Crystal Ball symbol replaces all other symbols apart from the 3 Bonus symbols. Cauldron Bonus: 3 Cauldron symbols on reels 1, 3 and 5 trigger the Cauldron Bonus. Here you will brew a magical potion full of winnings together with the wizard. Select a bottle, empty the contents into the cauldron and let your winnings bubble over! You can continue selecting bottles until the wizard has finished chanting his spell. You will then win the total sum awarded. 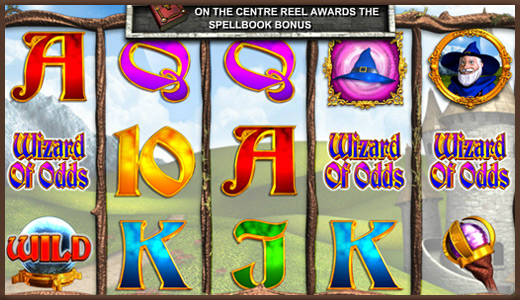 Wizard's Hat Bonus: 3 wizards' hats on reels 2, 4 and 5 in any position win the Wizard's Hat Bonus. Select a hat and be awarded with a random number of Free Spins. Then select a second hat and receive a multiplier for your Free Spins. Spellbook Bonus: If the spellbook appears on the middle reel you win the Spellbook Bonus. As the book opens, your bonus win amount will start climbing. The count will stop randomly. You can win up to 22x your total bet.